Samuel Ortom, the governor of Benue State has empowered it’s “bottom-level” indigenes with wheelbarrows. This is aimed at taking beggars off the streets and creating a means for the homeless to feed themselves. It was not exactly stated how the wheelbarrow scheme would work, but it’s very clear Nigerians do not approve of this latest development in Benue state. Following backlash, Gov. 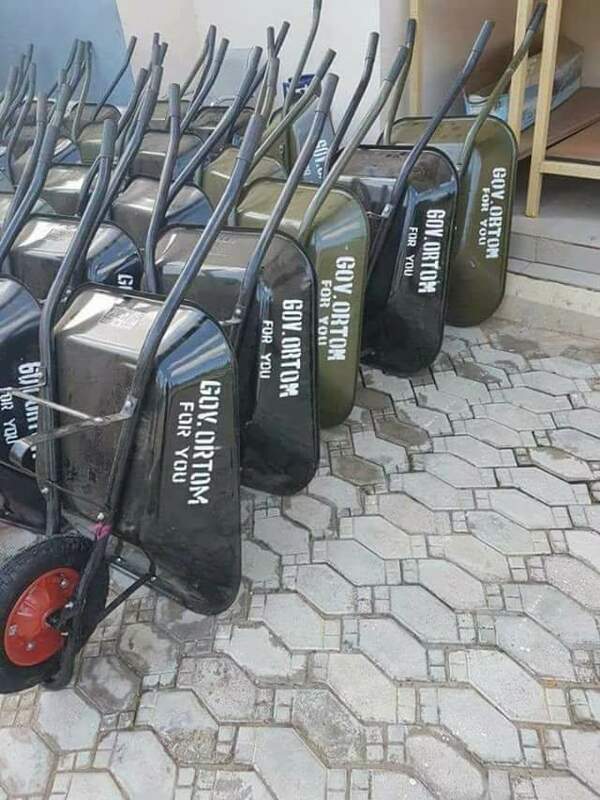 Ortom has said he did not give approval for anyone to inscribe his name of the said wheelbarrows. 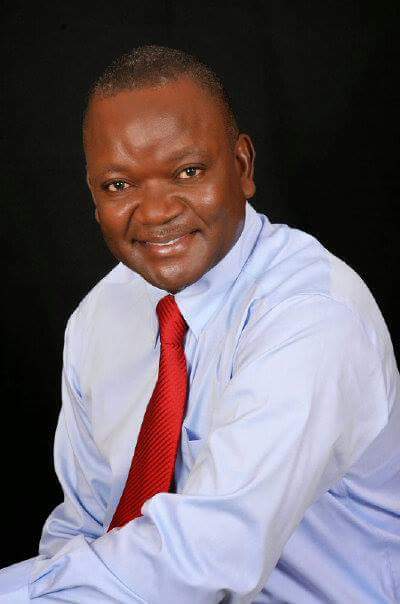 The attention of Benue State Governor, Samuel Ortom has been drawn to pictures of wheelbarrows bearing his name and posted on social media suggesting that he plans to empower youths of the state with the carts. We wish to make it clear that the consent of the Governor was not sought and he did not give approval for anyone to inscribe his name on the said wheelbarrows. Governor Ortom is aware that the wheelbarrows in possession of the State Emergency Management Agency, SEMA were recently donated to the state by the National Commission for Refugees, Migrants and Internally Displaced Persons, NCFRMI, for victims of crisis in parts of the state so he couldn’t have claimed credit for the gesture. The Ortom administration has numerous laudable empowerment schemes for youths of Benue but the donation of wheelbarrows to the youths is not one of such schemes. Consequently, the Governor has directed Secretary to the State Government to issue a query to the Executive Secretary of SEMA to explain why the said action was taken by his office. Governor Ortom has also directed the agency to immediately remove the inscription from all the affected wheelbarrows.